The Video Manager allows for management and presentation of videos. After you upload the raw video file, it is processed in the background and sized-down to manageable size. Videos can be public or members-only. Verbiage on the video presentation page can be customized to provide additional info to members/visitors. 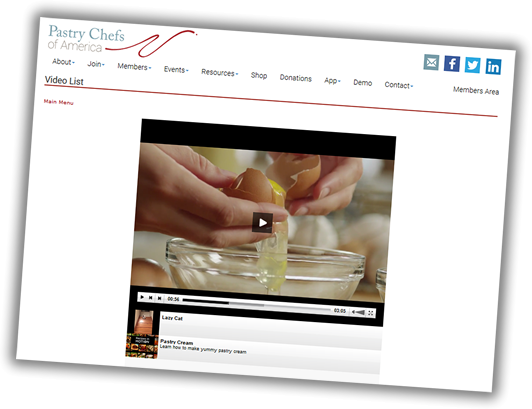 Videos are streamed via our servers, and embed code is provided so that the video can be embedded in your pages or on 3rd party sites.